Invisible Forums plugin for MyBB. Go to your "AdminCP Configuration - Plugins" and click "Install & activate" behind "Invisible Forums". 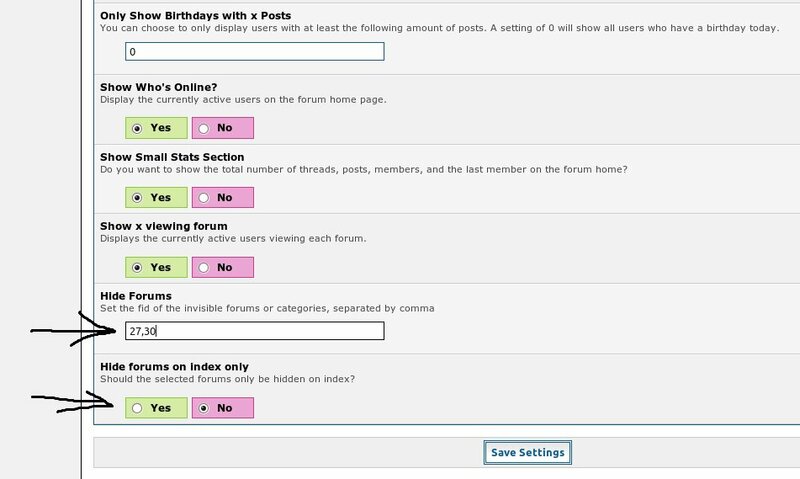 Go to your "AdminCP Configuration - Settings - Forum Home Options" and select the forums/categories you want to hide and choose below whether the forums should be hidden on index only. Go to your "AdminCP Configuration - Settings - Forum Home Options" and select the forums you want to hide.